Kylie Jenner and Travis Scott have posed for their first photo together since welcoming daughter Stormi Webster. 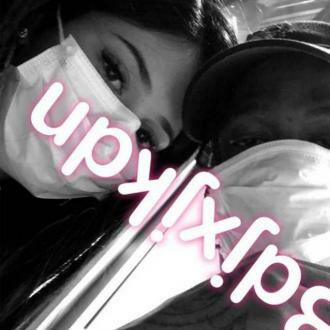 Kylie Jenner and Travis Scott have shared their first selfie together since becoming parents. 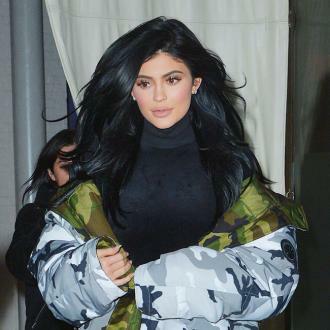 The 'Keeping Up With The Kardashians' star and the rapper - who welcomed baby daughter Stormi Webster on February 1 - posed together wearing medical masks as they cuddled up for the camera. Travis, 25, posted the black-and-white picture on his Snapchat account and captioned it '' bdjxjkdn(sic)''. 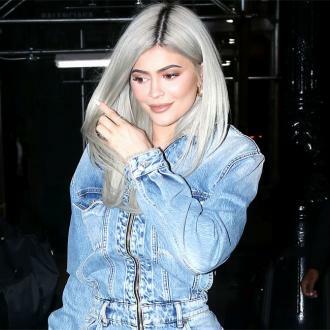 Kylie, 20, was first linked romantically to Travis - whose real name is Jacques Webster - in April 2017 when they were spotted together at the Coachella music festival. The couple have been strictly private about their relationship and refused to confirm the pregnancy until after Stormi's birth. A source told E! News Kylie has grown closer to Travis since they welcomed their daughter. The insider said: ''Her relationship with Travis has made huge strides since having baby Stormi, and they are back in a good place,. It was previously reported that the rapper - who recently pleaded guilty to disorderly conduct over an incident at a concert in Arkansas last May - is a changed man since becoming a father. A friend of the musician said that he is ''laughing a lot, and much calmer than usual''.